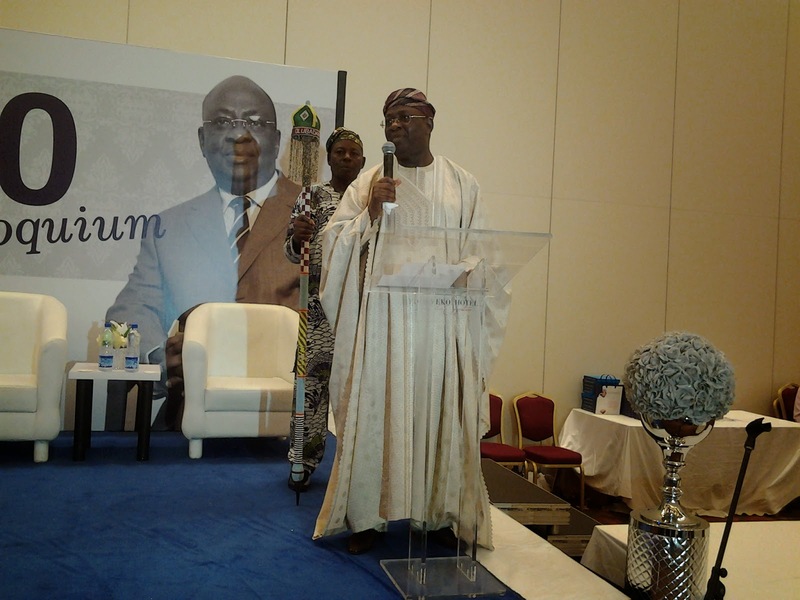 :: OnePageAfrica ::: Family, friends and former colleagues celebrate Aare Adebayo Sarumi at 70 years! 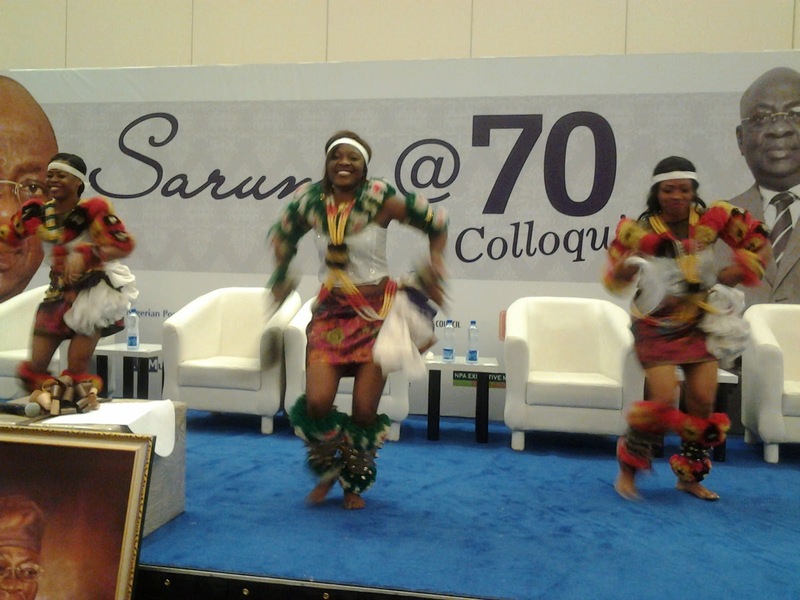 Family, friends and former colleagues celebrate Aare Adebayo Sarumi at 70 years! From right; Chief Sarumi; Prof Lana Odugade,representative of the Olubadan of Ibadan and Chief Sarumi's wife. Chief Sarumi, appreciating guests who have come to celebrate with him. 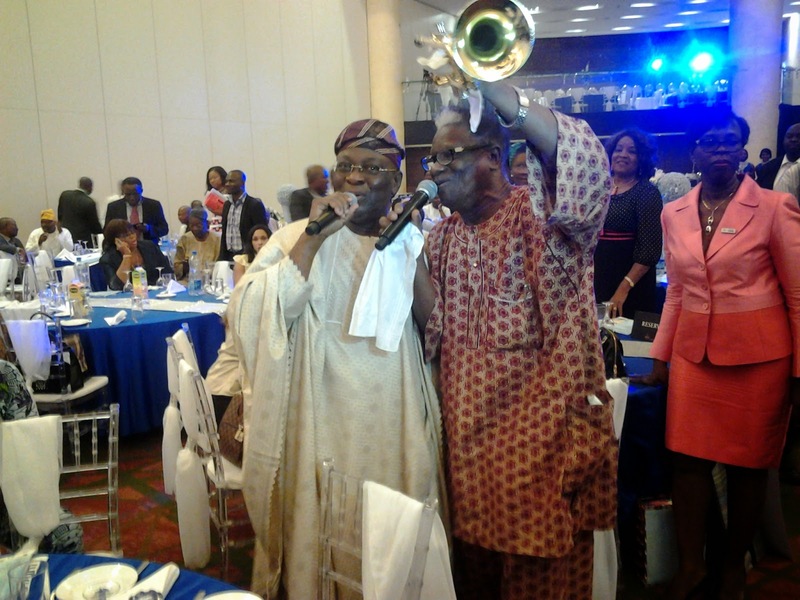 Chief Sarumi singing alongside Dr Victor Olaiya. Former Managing Director of the Nigerian Ports Authority, Chief Adebayo Sarumi, maintained a very happy look. He applauded, smiled and kept a tet-a-tet with the beautiful people sitting close to him on both sides. 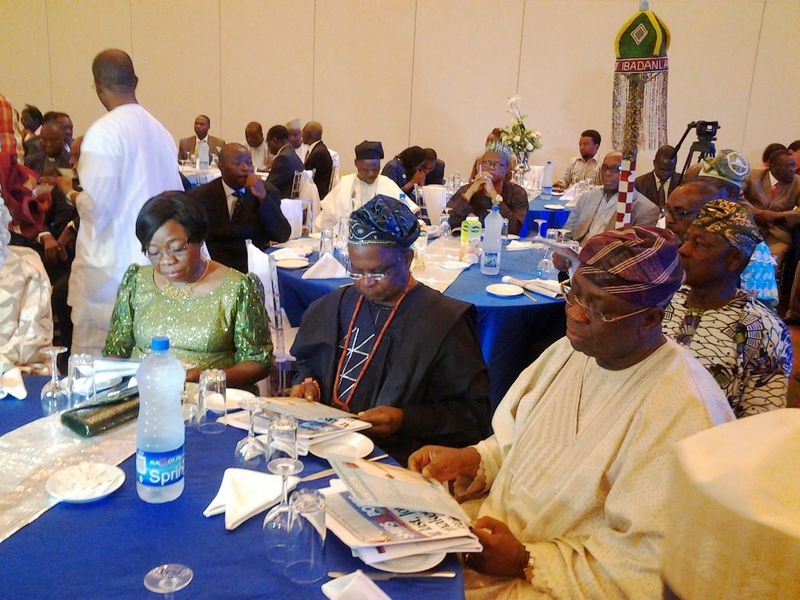 The event was his 70th birthday celebration on July 7, and the maritime industry stakeholders were having a colloquium in his honour at the Eko Hotel, Victoria Island. However, not only did Chief Sarumi sprang up on his feet as music legend, Victor Olaiya got on the stage to render one of his finest songs ‘Baby jowo,’ he actually enjoyed himself as he did the song alongside Dr Olaiya. 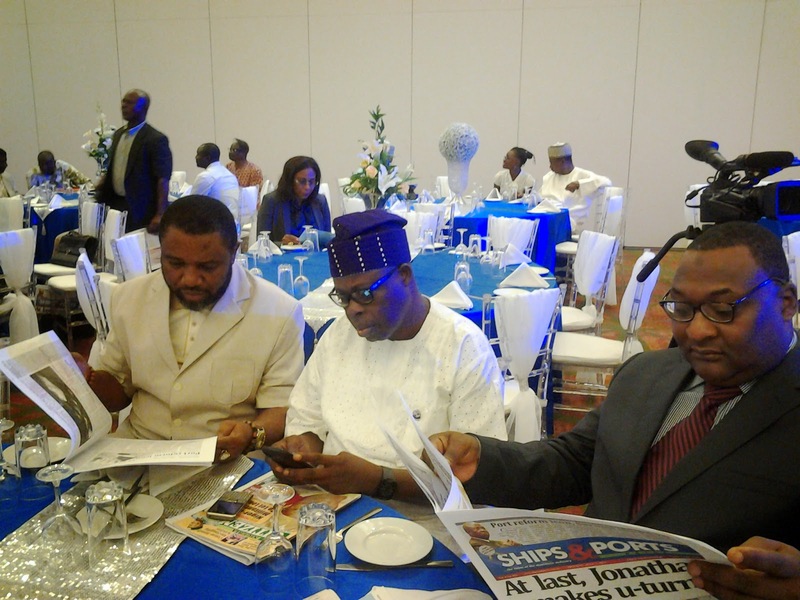 L-R; Mr Eugene Nweke, President, NAGAFF; Prince Olayiwola Shittu, National Chairman, ANLCA and Mr Hassan Bello, Executive Secretary, Nigerian Shippers' Council. 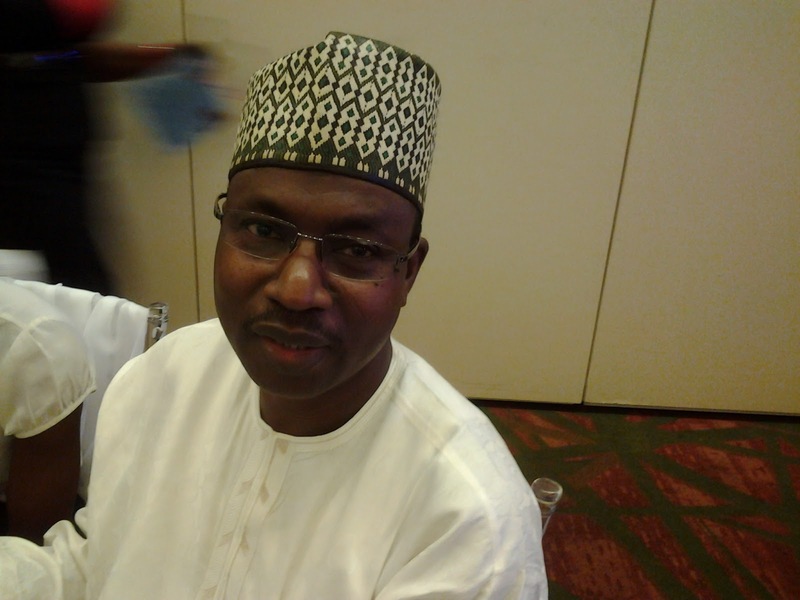 Port Manager, Apapa Port, Anas Nasir. Renowned for his drive and achievement of reforming the Nigerian port system, Chief Sarumi started his career in the maritime industry in 1973 as a Traffic Officer. He got promoted to the position of the Traffic manager of the Lagos Ports Complex, and later as Warri Port Manager, a position he managed from 1980 to 1984. He also served as the Port Manager, Calabar Port, LPC and Tin-Can Island Ports. Traditional Efik dancers entertaining guests. Between February 1990 and May 1991, Sarumi was the coordinator of the Western Zone of the NPA and later returned to the LPC as the port manager. By December 1995, he was made the General Manager of the Marine Division of the NPA before being made the Managing Director of the Nigerian Shippers’ Council. But just as he voluntarily retired from the service in 2003, the Federal Government engaged him with the responsibility of being the Managing Director of the NPA, where he eventually executed the government’s port reform programme that admitted the private sector into the port management system for effective service delivery to boost the nation’s economy. Born on July 6, 1944, Adebayo Sarumi attended Ayedade Grammar School in Ikire, from 1958 to 1961. In 1964 and 1965, he was at the Government College, Ibadan for his Higher School Certificate. Later in 1965, he attended the University of Ibadan and graduated in 1969 with a B.A. (Hons.) in Geography. Chief Sarumi is blessed with a very supportive family.